Phantom is a permanent, one-time application base-coating that forever eliminates the need for waxing skis and snowboards. It's a disruptive, truly innovative solution that ushers in a new era in snowsports. Phantom's patent-pending polymer technology offers ultimate convenience combined with great glide performance that never wanes across all snow temperatures, and for the life of a ski or board's use. 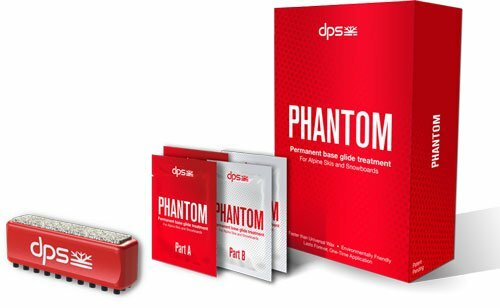 Phantom eliminates the damage traditional wax does to watersheds, along with the health risks for people applying it. Phantom can be applied to any new or used ski or snowboard at any point in a board's life cycle, at a price that quickly delivers strong value.